Located on an 1855 farm, our studio is situated within the heart of nature itself. We are surrounded by lush woods, the natural life of deer, fox, birds, guinea hens, chickens, cats, dog and a horse named Rayzel. The studio building first started as a barn, merged into a graphic studio and then into a guesthouse. In 2002, with the help of John and friends the guest house was transformed to our gallery space and an additional space was built for the studio. 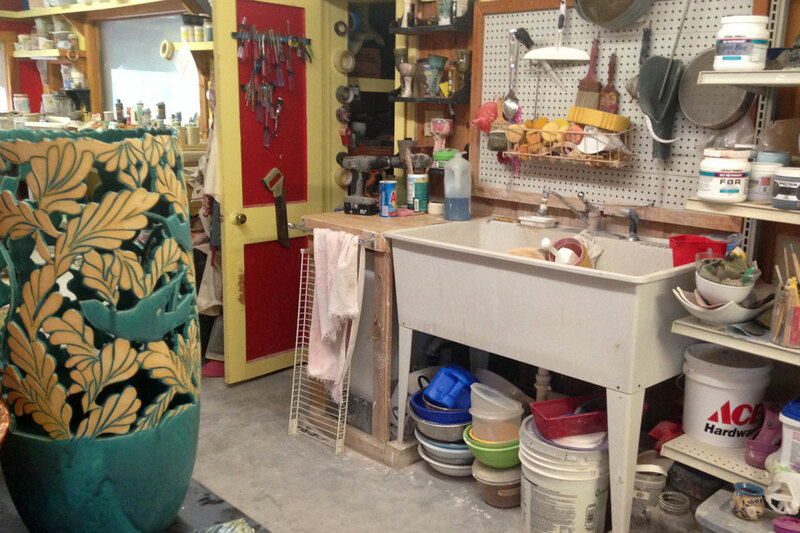 This new space served as hand-building area, wheel throwing area, kiln room, workshops, classes and so much more. We have big beautiful windows for perfect views of our gardens and woods, It’s an artist dream! 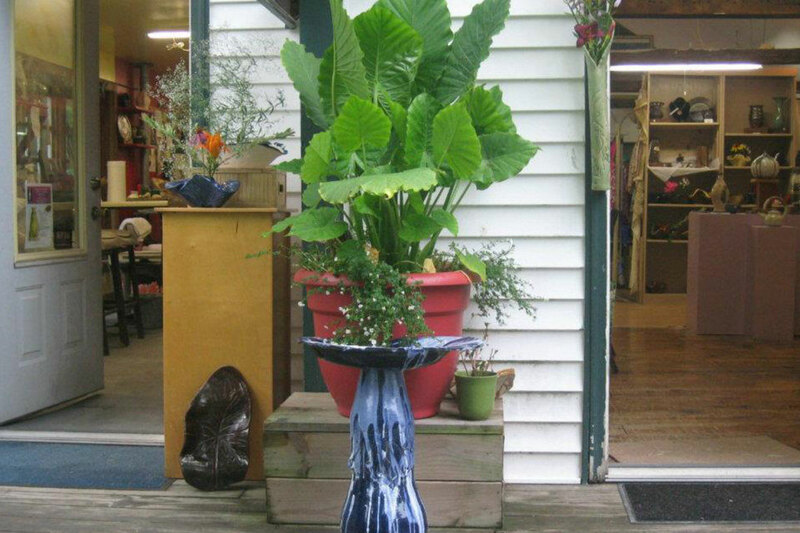 Today, most of the gallery space is used by Linda and Juliet as their work space, while the new space is utilized by their Studio Associates; Maureen Solomon, Sue James, Tim Denney and Diana Hague. 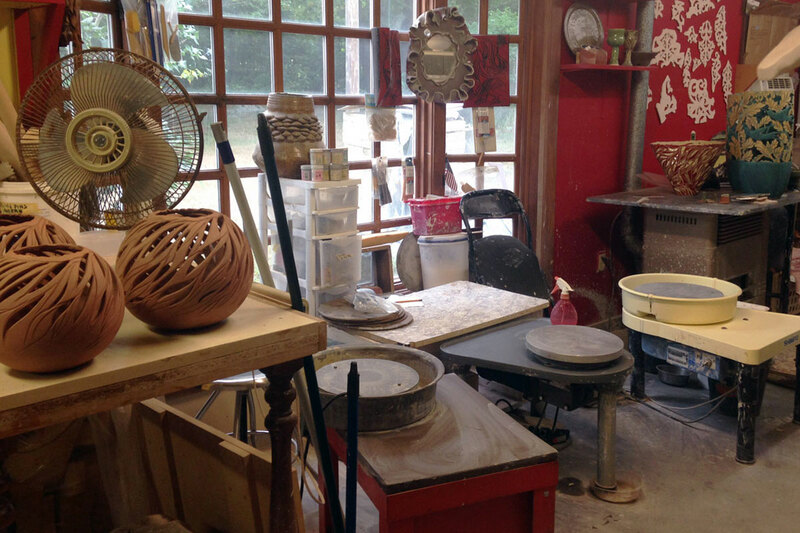 Our Studio is open to the public for workshops such as Raku Firings…. which are twice a year which is done outdoors. African Coiling workshops are ongoing. Independent Open Studio This option is for the experienced….… The studio can be rented for $10 p/hour and pay for firings as you go. Clay is purchased from the studio. This option allows you work on your own without supervision or tutoring. Open Studio is available Monday – Saturday, 8 am-9 pm. Call 413-563-9916. or Email Us for more information to make arrangements. Private Classes $50.00 p/hour. comes with 5 lbs of clay. 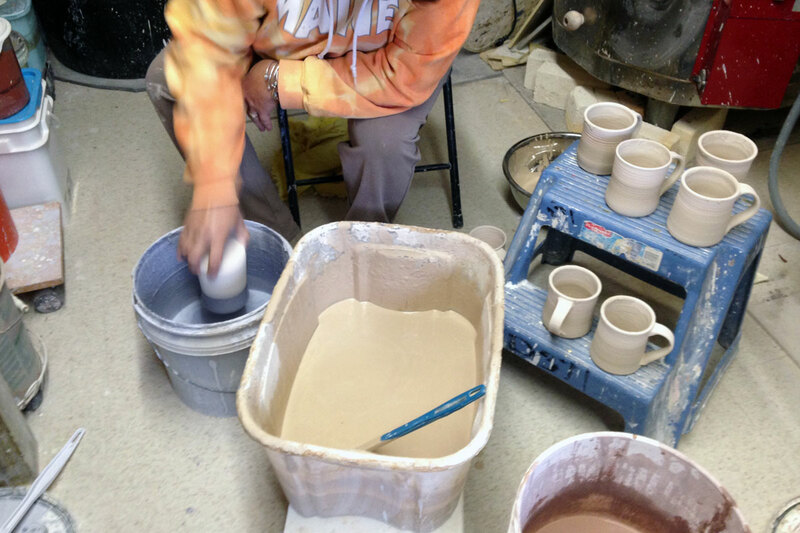 Pay for firings as you go and clay can be purchased from the studio. Class is scheduled at your convenience. Call 413-563-9916. or Email Us for more information us to schedule private classes. 4 Week Classes 1 class p/week. Classes are 2 hours and include 25 lbs. 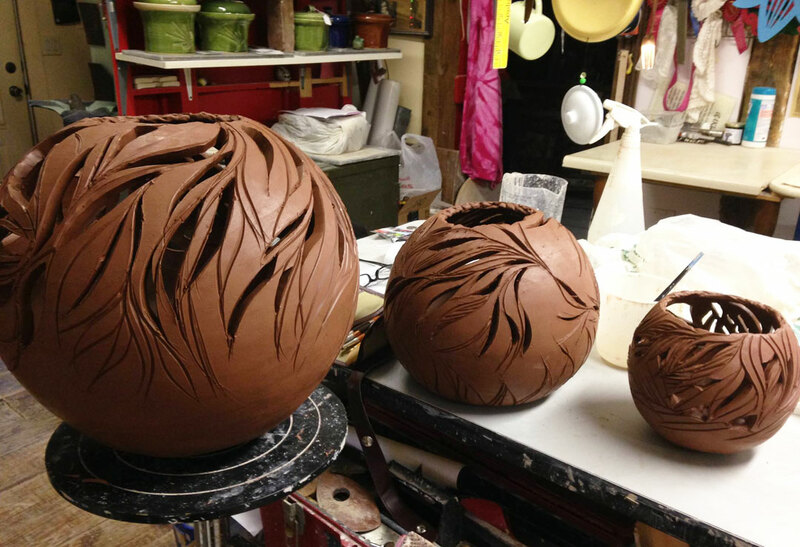 of clay: $300.00 Pay for firings as you go. 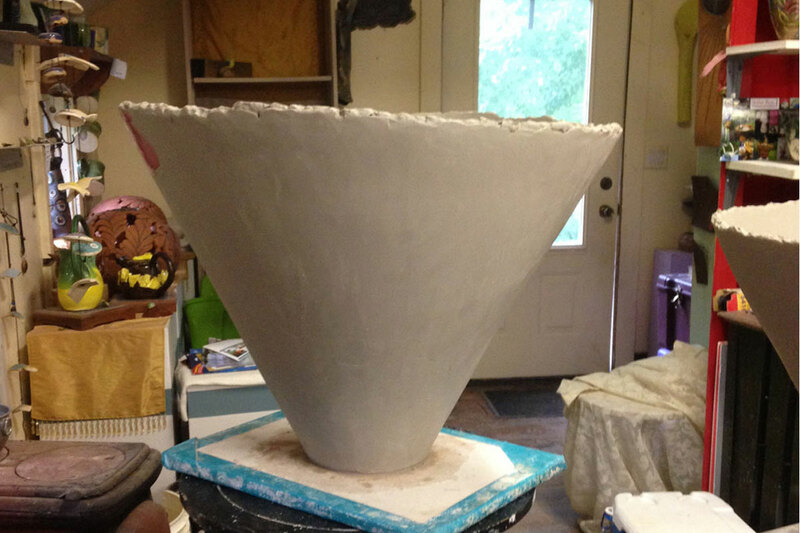 Clay may be purchased from the studio no make-up classes. Call 413-563-9916. or Email Us for more information to join our classes.